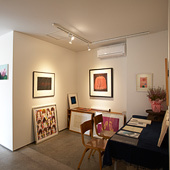 Koganecho Area Management Center (KAMC) has run an Artist in Residence program (AIR) for ten years since its foundation, 2009. In addition to this long-run program, we will start an Internship in Residence program as a part of this year's Koganecho Bazaar. This short but intensive Internship program provides an opportunity to stay in Koganecho and learn how to manage AIR through practice. During the program, KAMC invites many artists and there will happen living interchange among the artists and the local people. 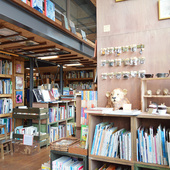 The interns are supposed to experience this active atmosphere in the Koganecho Bazaar. We are looking forward to the application from those who are eager to be a manager of AIR in the future. 1. Support operation of AIR program. 2. Support creation of artists participating in the AIR program. 3. Support operation of curation in Koganecho Bazaar 2019. *During the internship program, there will be held two sets of lecture and discussion with invited lectures. *The interns will in some way present their outcome in Koganecho Bazaar 2019 at least once. *The interns are required to stay at least 30 days and at most 90 days. *The actual duration of residence will be decided through discussion after the result announced. 1. An individual or a representative of an organization who is eager to start AIR. 2. A worker in a local government who wants to start AIR program. 3. A student who concerns AIR program. 4. An individual or a representative of an organization who wants to start AIR program abroad and make connection with Koganecho or Japan. *Regardless of age or gender. 1. The interns are basically required to reside in Koganecho area. 2. Have an English ability to speak at a conversational level. 2. Provide living expense of up to 200,000 JPY. *The actual amount of living expense will be decided after the selection, according to the duration of the residence. *A round-trip air fair is fully covered by the organizer. *An expenditure of VISA application and insurance will be fully supported by the organizer. Place to work: Koganecho Area Management Center (1-4 Koganecho, Naka-ku, Yokohama city, Kanagawa), and other places in Yokohama city. Place to reside: the places where Koganecho Area Management Center manages. *Please write down "AIR Manager Internship" in the subject of e-mail. Through selection of the application, we will have an interview on 30th and 31st May. According to the application and interview, who will work as an intern is decided. The result will be announced by e-mail.